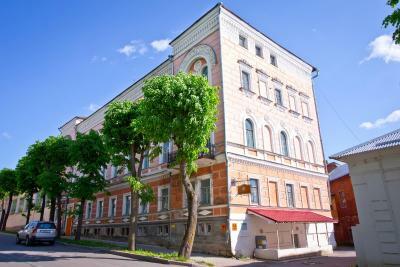 Lock in a great price for Yaroslav Hostel – rated 8.5 by recent guests! Very friendly staffs. They always helped us in our travel and other personal problem. The hostel room was very clean. I strongly recommend this hostel to other travelers. One of the staff members was extremely helpful and considerate. Some others did not speak English and were not very friendly. The beds were the worst I have ever seen in a hostel. Old very thin mats. But it’s good location and cheap. Good location, affordable price, no questions about the staff. They do registration for free, that's good. Stayed three nights instead my booked one night. Very good located, clean and a very nice staff, even if limited with foreign languages. Cozy common area. Friendly and helpful staff that persist with translation apps when needed. 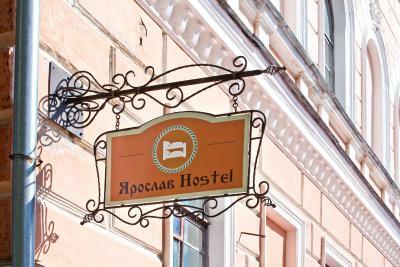 Always cleaning, very comfy and homey hostels in a great location, just opposite the old Kremlin. 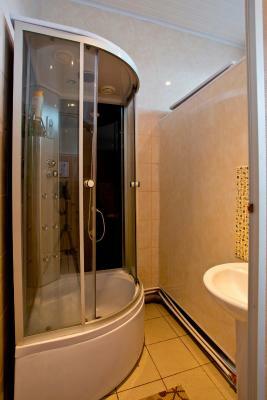 The location is very convenient to visit significant place in Veliky Volgograd. The common room is very warm, bathroom also is very good and clean. Everything is good. Very convenient location for the sights. Friendly and welcoming young lady on reception, excellent English spoken. Decent shared bathroom and comfy enough twin room for the price paid. Very good value. 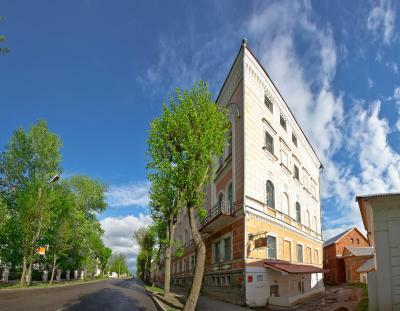 Yaroslav Hostel is located on the Volkhov River in the historic center of Veliky Novgorod, within a 12-minute walk of the Novgorod Kremlin. Free Wi-Fi access is available in all areas. The hostel features bright classic-style rooms. 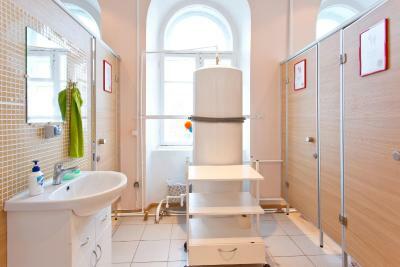 Guests can use a shared bathroom. You can cook in the shared, fully equipped kitchen. Various cafes and restaurants are located within a 5-minute walk of the property. Novgorod Train and Bus Stations are within a 20-minute walk of Yaroslav Hostel. When would you like to stay at Yaroslav Hostel? A bright classic-style room. 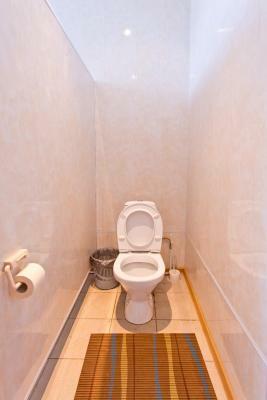 Guests can use a shared bathroom. House Rules Yaroslav Hostel takes special requests – add in the next step! Debit card Yaroslav Hostel accepts these cards and reserves the right to temporarily hold an amount prior to arrival. Yaroslav Hostel accepts these cards and reserves the right to temporarily hold an amount prior to arrival. you could not open a window to let fresh air come in due to broken windows, only 2 showers for the whole place. Not much in the way of cooking facilities. Free tea and coffee was good, but otherwise only a cooking stew pot with various settings, no stove. It just a bit thing about I got biten by mosquito at night, maybe I visited on the time having mosquito. I had a bad experience in Yaroslav hostel, but it’s my experience, yours might be better. It was a combination of me being in pain, so I went to sleep at 10pm, plus inconsiderable/noisy neighbors in a room - one started packing after 10pm and was doing it till 12am, plus VERY UNCOMFORTABLE mattress - springs were non existent. Bunk beds were very squeaky, even when you turn in bed. Needles to say I had a bad night sleep. Of course hostel is not to blame for the neighbors, but lack of comfort is for sure. In the morning after having breakfast outside, I came to pick up my staff, as I didn’t want to stay in this hostel one more night. There was no one at the reception, and even when I shouted across the corridor if anyone is there, there was no answer. So anyone could have walked in and take my staff. Please, be aware there are only paid lockers and they are quite small - fits small rucksack. All I wanted is to let them know about me not staying, which I did anyway later over the phone. There was never an interest of the reason behind early departure. That’s a poor customer service. The beds, very squeaky, and poor mattresses. Hard to find (you actually have to go at the back of the building) and phone numbers I could find were wrong. Had to pay 100 rubles to leave my bag the next day and even with this, at around 7pm (I was waiting for my train) they kinda told me it's time to leave. The host couple who seemed to be in late fifties or in early sixties came to the bus station for us not to meet difficulties to find the apartment, it may be one of the examples showing their deep consideration for others. And they kept the promised times exactly, to speak more precisely they came from 5 to 10 minutes earlier than the promised times; one was the occasion that we met first, and the other was when we check out. We want to add one more thing: the apartment was managed well. Though we went there as a guest who pay money for using the apartment, we felt something more. It would be the human respect. The hostel is in an excellent location. The staff are nice and friendly. Darya, in particular, was very helpful - when my smartphone malfunctioned she helped me to book my next place to say and my flight home on her computer. The beds were very comfortable and the whole hostel was very spacious. Nice communal area as well. Everything is to regulated. A lot of papers, forbidden to stay in common room after 23:00, forbidden to drink beer, forbidden to spend more than 10 min in the toilet.